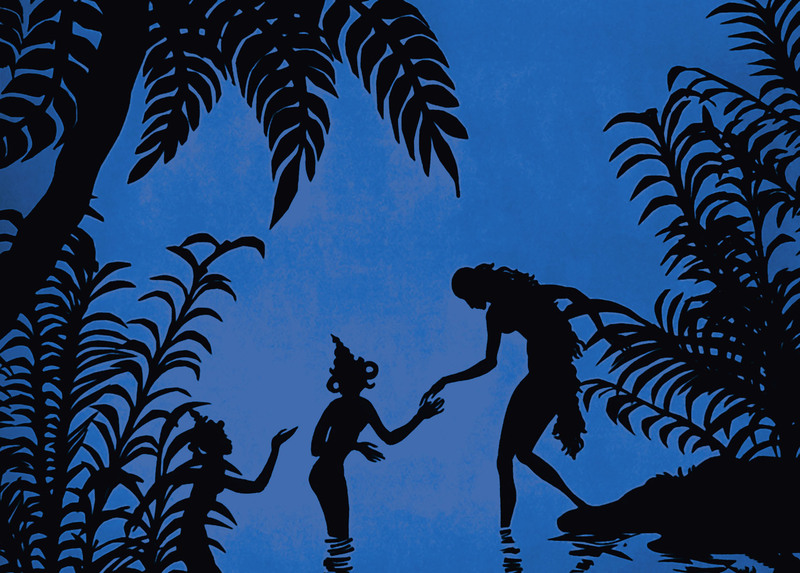 The film is made entirely with cutouts in black that are placed in front of colorful (tinted) backgrounds, a process Lotte Reinger invented and made herself. The filigree cutouts are all handmade, as is their movement, of course. It’s a work-intensive process, but the resulting images really are beautiful to look at. 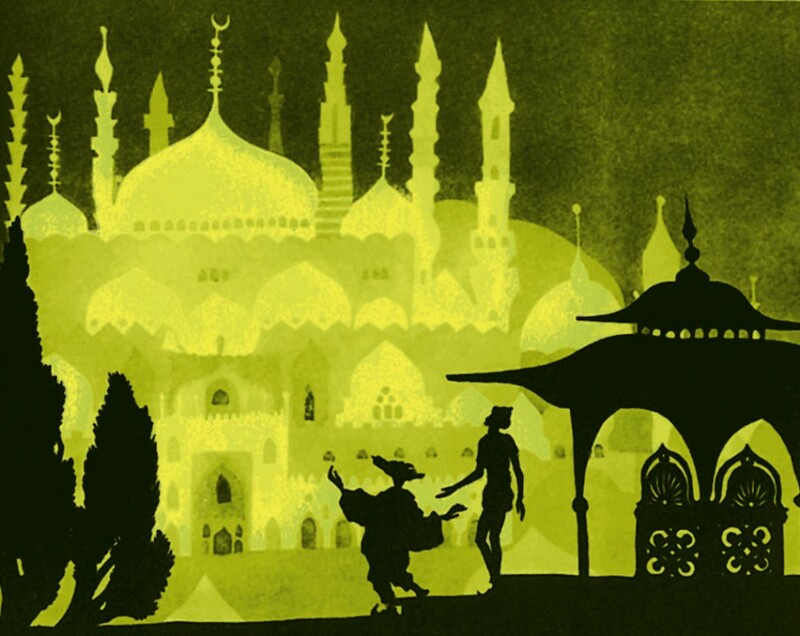 Given the age of the film, it’s not surprising that the aesthetics, the way the Arabian world (it is based on a story out of One Thousand and One Nights) is evoked, are rather stereotypical and exoticizing. The story-telling is not that strong either, but it shall be forgiven, given the circumstances. The music by the Lechner and Rosmanith is a startling choice for the film, given that the accordion as it is played here is a very Austrian instrument. But it does work very well – surprisingly so. In between the acts they had filler songs where they actually sang. I could have done without that part, although the songs weren’t bad. It just didn’t seem like the film called for it. In any case, it seems like almost the perfect way to watch this film – a film that had been on my list for quite a while as both a fan of animation and as someone who tries to be informed about films made by women. But even if you don’t get the chance I did, I can recommend watching it. Summarizing: Very enjoyable and of historical importance. 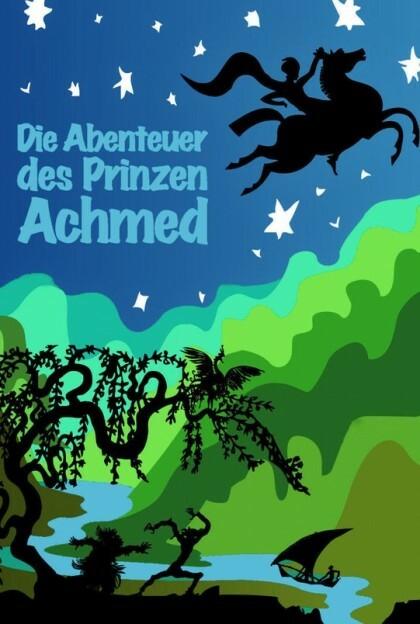 This entry was posted in female director, female writer, movies, music, shows and tagged 1926, Carl Koch, Die Abenteuer des Prinzen Achmed, Film and Music Cycle, Konzerthaus, Lotte Reiniger, One Thousand and One Nights, Otto Lechner, Peter Rosmanith, The Adventures of Prince Achmed by kalafudra. Bookmark the permalink.